a madrid penthouse in white. | owl's house london. a madrid penthouse in white. Coolness and light abound in this split-level penthouse in Madrid. 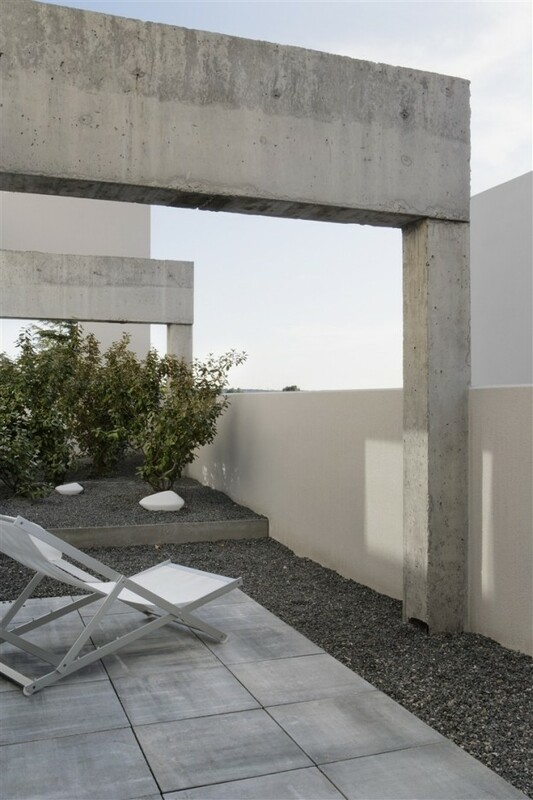 All access areas to the property were conceived as outdoor spaces to increase privacy and a sense of seclusion. Terraces on different levels are fed with a natural irrigation system and rain water from the roof tops; these terraces of warm earth along with the concrete structure also serve as insulators. Internally, white walls provide the backdrop, pale wood floors and stone offer coolness under-foot. 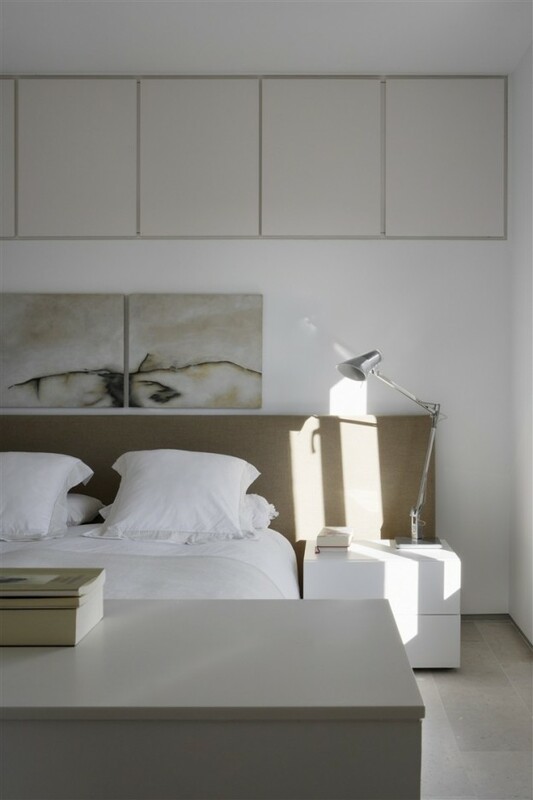 Seamlessness is created with flush, built-in cupboards and shadow gaps where level changes meet the floor. I spy: light wood Wishbone chairs, Eames DSW and Catifa chairs with their shells in white; a George Nelson clock, Panthella table lamp. The simplest metal handrails. Which details do you like best? 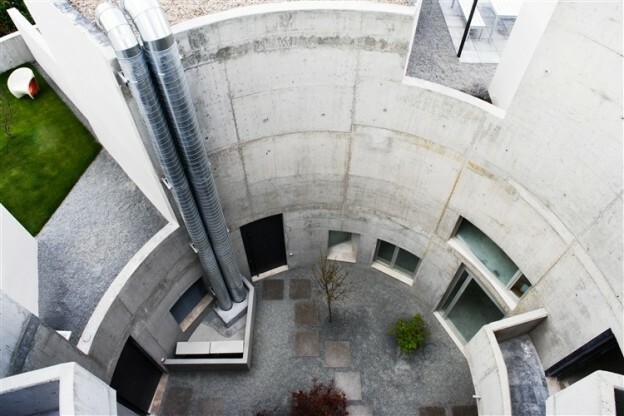 Split-level penthouse in Madrid by Abaton Architects, here. More wonderful, cool, white spaces, here. This entry was posted in wonderful spaces. 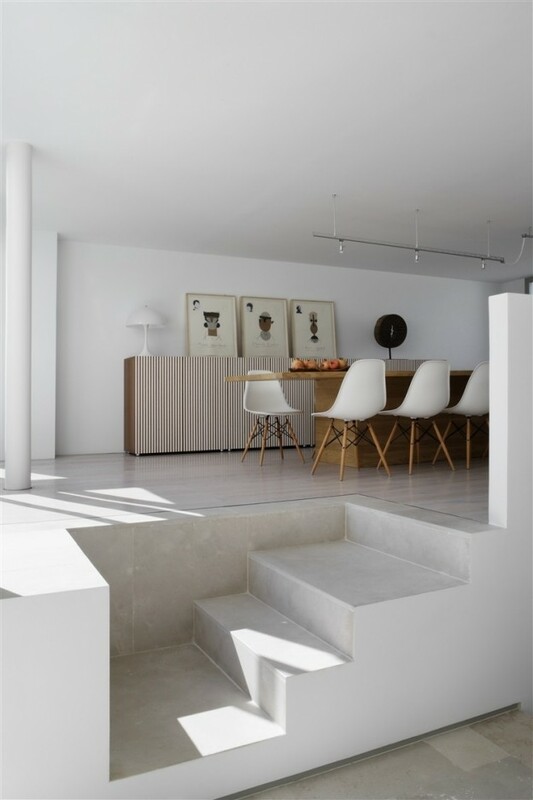 and tagged Abaton Architects, architecture, concrete, design, Eames DSW, George Nelson, Panthella, Wishbone chair on July 15, 2013 by owls house london.. This penthouse is beautiful. I love the bedroom, and the old sideboard in the living area. 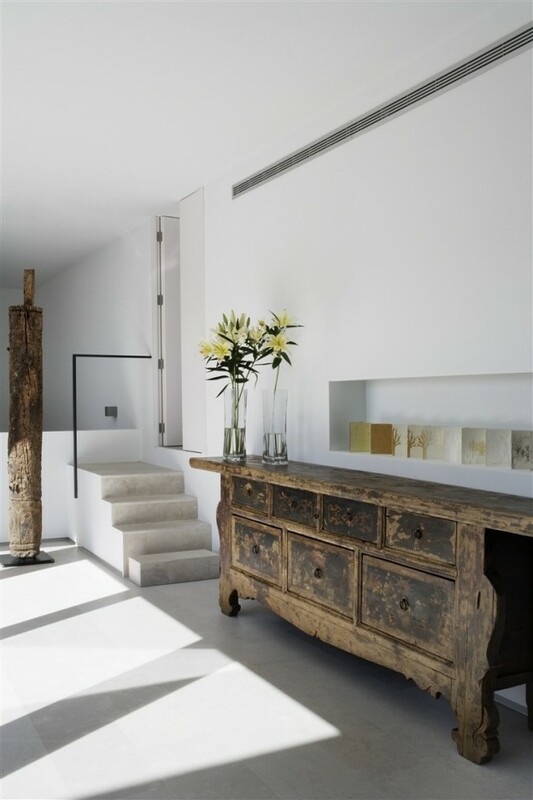 Love the capacious old sideboard ! just imagine the stuff one could …stuff in there! !